5 Ways You Can Find Out Whether You Need IELTS Coaching or Not? 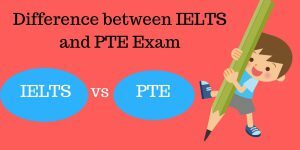 We are all aware that the IELTS examination is not an easy English test to crack without proper coaching or tips and tricks out there. Indeed, after appearing at it twice, I could say that it is one of the most complicated tests. It is conducted by governments and academic institutions to evaluate your English proficiency. 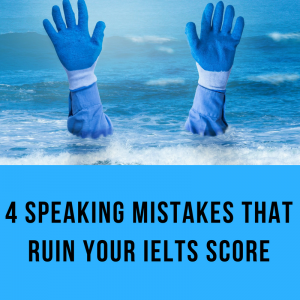 We have observed many people who have flunked repeatedly at IELTS because they generally misjudge the test and many times overvalue their knowledge. Use these following 5 signs to identify if IELTS coaching is required. Context: During the listening module, you’ll have to answer 40 questions throughout 4 recordings. These audios will be played only once, and you’ll have to answer those questions rapidly. A typical question includes sentence completion, form completion, summary completion and multiple choices. Sign: If you identify that you lack the required speed, focus, and accuracy while multitasking in English, you need an IELTS coaching. How the course can help: Before each and every audio, you will get some time to read the questions properly. You need to identify in the beginning what information you are supposed to deliver according to the question. You would learn this during the training. Also, it is not astounding to get lost while listening to a conversation, but you need to retrieve quickly or you will miss all the questions afterward. This would be a blunder. In the training, you will be instructed how to follow a conversation even if you miss a few sentences. Context: In the reading module you need to answer 40 questions (both academic and general training) spread across three sections. The purpose of this module is to assess an extensive range of reading skills, reading for major ideas, reading to gather details, understanding the logical argument, skimming and understanding writers’ attitudes, opinions, and purpose. Candidates have to provide short answers, complete sentences, match information, complete diagram labels or match headings. Sign: If you are not known of such type of questions, or if you are reading these texts as you usually read a book, IELTS training will certainly help you get a higher score in this band. How the course can help: You don’t need to go through the texts several times. There are strategies you will learn to avoid this situation, for example, how to skim the text quickly and on what kind of detail you should focus. Additionally, during the training, you will get to practice a lot the different types of questions and gradually you will get used to them, which will be a time-saving trick. Context: The writing module is usually the most time taking. In the first task, you will be asked to describe and explain data in 150 words. In the second task, you will have to write an essay (250 words) in response to a point of view, argument or problem. Writing style must be a formal one. 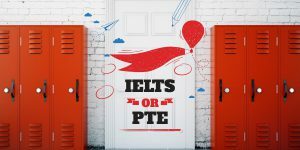 Sign: If you are not aware what a formal style be like, or if you know the answer but struggle to find appropriate vocabularies and assertive English terms, you must take up an IELTS preparation course. How the course can help: Describing and explaining data requires practice. Candidates struggle while trying to do it in English. Your trainer will also make you practice the different types of charts (bar charts, pie charts, line graphs, tables, processes, diagrams, multiple data sources) so that you may get used to them and will not be surprised during the examination. Writing Task 2 is not an easy nut to crack. First, the topic given to you can be hard to generate ideas if you are not known to it. You might develop ideas but remember, you need to write it in 250 words and you only get 40 minutes. Second, a proper structure is required in an essay so, you cannot write whatever comes to mind. In IELTS training, you will learn what the structure of an essay should be like; even you would get an idea that how should be the answer framed. You will also learn this trick to connect your ideas using proper English. Additionally, you will get to practice the common essay topics. Last but not least, the major advantage of the training is that a teacher will correct your mistakes and will tell you how to enhance your writing skills. Context: The fourth module is there to evaluate your speaking skills. The duration of this test is 15 minutes and is split into three parts. In first 5 minutes, you need to give an introduction and discuss general topics. The second part assesses the candidate’s ability to speak about a random topic. At the third stage, the candidates will have to take care of pronunciation, lexical resource, and fluency. Sign: If you cannot speak fluently or lack of coherence in direct communication is there, then it’s a sign that you need some practice. How the course can help: In an IELTS coaching, your pronunciation will be enhanced with the proper guidance. You will get to practice under the examination ambiance and gradually you will learn to handle the pressure during the test. A trainer will guide you about how to write down the notes that will help you to speak for two minutes on the specific topic. Context: since IELTS exam has a time limit and you will only get the time provided for each module. After that time, you will not be allowed to continue. The IELTS examiners will collect the sheets. Sign: If you aren’t able to finish each module timely, or if you are unable to focus accordingly due to the pressure, you need IELTS training. How the course can help: In an IELTS coaching, you will be able to learn how to complete each section timely. If you are facing problems with it, perhaps you are taking too much time in the reading section as it is time-consuming but it can be reduced by applying certain strategies. Your IELTS trainer will help you identify all these problems and teach you how to conquer them. If you grapple to get rid of these mistakes, you certainly need an expert to assist you.